So long as someone’s making movies about stoic cranks with stubborn streaks, Robert Duvall will be able to find work. In Aaron Schneider’s directorial debut, Get Low, Duvall plays a ’30s-era Tennessee hermit who leaves his cabin in the woods and rides into town to ask for help planning his funeral, which he wants to hold while he’s still alive. 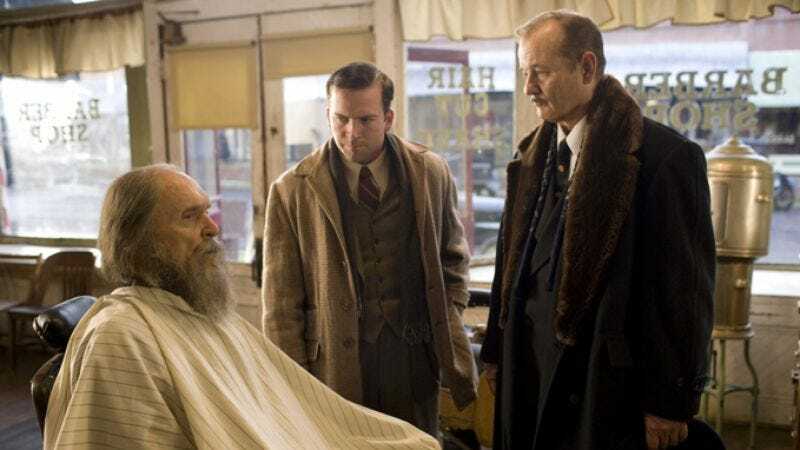 But his neighbors are disinclined to cooperate with a man who’s shunned and frightened them for decades, so Duvall has to come up with a financial incentive for them to assemble, and he has to seek out old acquaintances and plead his case. While all these folksy folks gradually come around and begin to do the bidding of the mysterious old coot, Schneider establishes a tone as gentle and homespun as a bluegrass lullaby. Get Low is meant to be funny, heartwarming, and wise, and it is, for the most part—but in an overly familiar way. The movie has the look and tone of a Hallmark Original, but quieter, and the story develops fitfully, largely because Chris Provenzano and C. Gaby Mitchell’s screenplay has to hold back Duvall’s big secret reason for throwing his “funeral party” until the end. When the big moment arrives, though, it’s appropriately riveting. Get Low is also helped along by two strong supporting performances: one by Lucas Black, who brings his usual twangy authenticity to the role of a young family man encountering the reality behind a local legend, and the other by Bill Murray as a mortician who sees this free-spending backwoodsman as the golden ticket he’s long been waiting for. Duvall’s performance sticks to his usual assortment of guttural grunts and wistful, wrinkled stares, but Murray is a wild card. When his faux-sincere huckster vibe rubs up against Black’s idealism and Duvall's plainspokenness, Get Low gets better.